Make towel lint in you wine decanter a thing in the past with this Final Touch decanter drying stand. 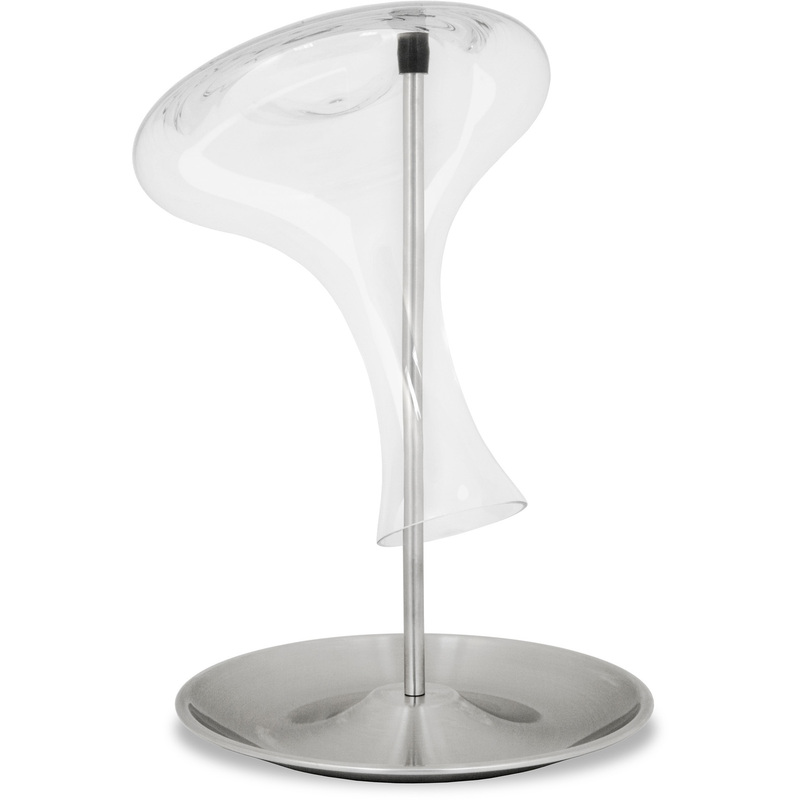 Constructed from sturdy stainless steel, the stand consists of a base and a post. The post is topped with a rubber tip to hold the decanter and prevent unwanted scratches, while the base collects excess drips from your decanter. It allows decanters to drip dry and air out, preventing streaking and residue.